Beautiful Bonita Springs is a flourishing coastal township between Fort Myers and Naples. Named for a nearby medicinal spring that attracted early settlers, this friendly beach community now offers fine restaurants, great recreation opportunities, and sparkling waters to warm the souls of inhabitants and tourists alike. It's an attractive community for homebuyers because of the convenient proximity of Bonita Springs homes for sale to both natural wonders and to modern amenities and attractions. As in neighboring Estero, the crown jewels of Bonita Springs real estate market are no doubt the many exclusive enclaves that dot the region, offering world-class amenities in addition to great homes. No matter your needs, though, you'll find a great selection of residential properties in Bonita Springs, including waterfront homes, golf properties, luxury beach houses, and inexpensive cottages. 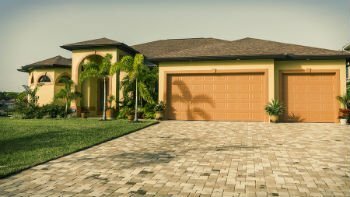 You'll find great listings for Bonita Springs homes for sale below, or you can learn more about what to expect from life in Bonita Springs. To stay current on all the latest Southwest Florida real estate listings, register with Key Real Estate now. We list Fort Myers, Naples, Estero, and Bonita Springs homes for sale. 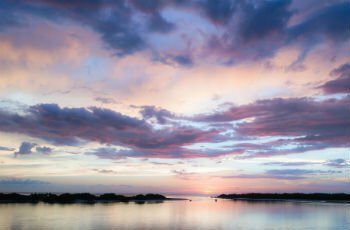 At first glance Bonita Springs may have many of the charms of a small town, but it also provides all the modern comforts and amenities you might expect from a more urban lifestyle. Bonita Springs homes for sale range from sprawling beachfront estates, to spacious condominiums, to detached single-family homes—but regardless of where you choose to live, you'll be close to white sandy beaches, warm waters, world-class golf, and the welcoming communities of Southwest Florida. Even older Bonita Springs real estate shows evidence of the pride that residents take in their Floridian lifestyles. In the region's detached bungalows and ranch homes, you should expect updates and renovations designed to make life comfortable, whether this means stainless steel kitchen appliances, concrete lanais, brand new HVAC systems, or impact windows and doors. Houses with Spanish or Mediterranean styling are especially common, including stucco exteriors, arched entryways and ceilings, and tile roofing. Those looking for smaller spaces might prefer condominiums and townhomes in gated communities, which offer many of the same features as detached family homes alongside of resort-like amenities. Bonita Springs homes for sale are conveniently located near Interstate 75 and U.S. Route 41, making travel to the rest of Florida simple. From Bonita Springs, you can quickly access shopping at the Promenade or Coconut Point, great concerts at Germaine Arena, gambling at Seminole Casino, or the hip nightlife in Naples or even Miami. Bonita Springs is served by Southern Florida International Airport (RSW), which is just 20 minutes away in Fort Myers. To begin the process of buying or selling Southwest Florida real estate, contact Key Real Estate today. We offer friendly service and real estate expertise, guaranteed.